When it comes to the sports industry, every single game has a different way of keeping score. Typically, the higher score wins the game or match, right? Well, when it comes to golf, it flips your world upside down. What I mean is, if you have a score of 72 in golf – that’s great if your competitor has 92 – it means you won! 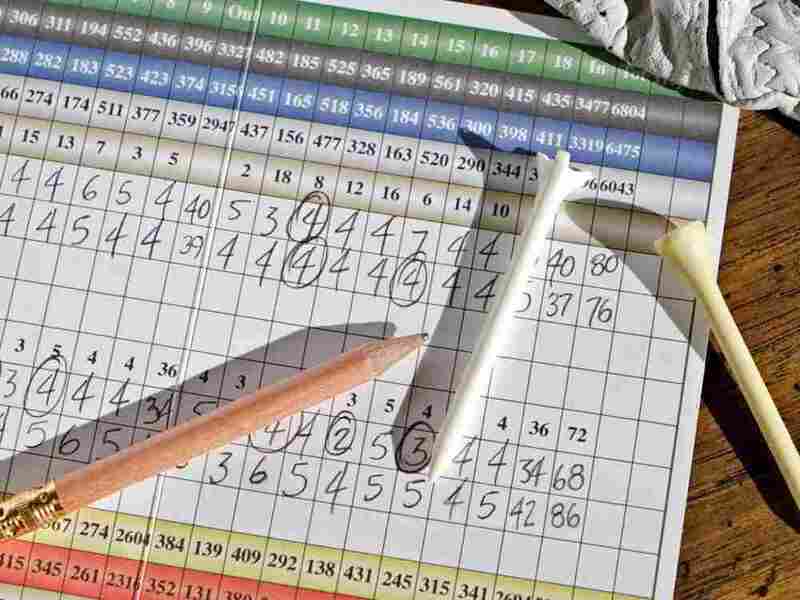 Keeping tracking of the score in golf can be very simple; however, it’s challenging, and quite frustrating, if I can be honest, when it comes to actually getting a good score. The way golf functions is that, for each time you tap the ball, that’s a point calculated next to your name. We like to call these points, strokes. No matter how many times you hit the golf ball or lose it – all those strokes add up until you get the ball into the hole. Sounds pretty basic right? Well, let’s really explore the finite details of this sport and how to ensure you are prepared for the next game. On the golf course, each clubhouse will give you a scorecard, which can typically be found in your golf cart. It is on this card that you will keep track of your strokes. In a full round of golf, you will play 18 holes. After each hole, you must mark your number of strokes on the card. Since experienced players can forget the number of hits per hole, it is advisable to write down your score at the end of each hole. To avoid problems at the end of the round, make sure to keep track of your score and the score of the people who are playing with you. Usually, you are responsible for checking your opponent’s score, and your opponent is responsible for checking your score. After each round, if you are in doubt, you can look at your opponent’s card, check if the score he wrote is correct, and then sign or put your initial on the card. It will be necessary to repeat this same process at the end of the game. So, if the person who is responsible for your scorecard makes a mistake, (even if it’s a not an intentional mistake) it places you at a disadvantage. 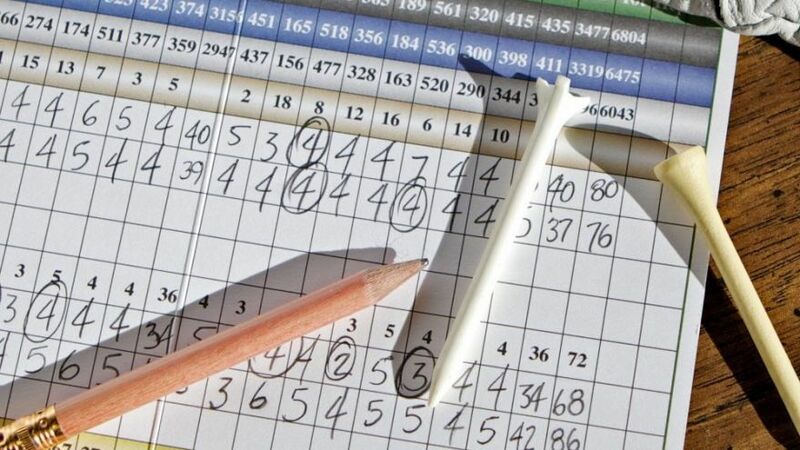 As a result, unfortunately, your golf score can be wrong. Some players prefer to choose a person to write down the points of all players before the round starts. (This part is at the discretion of you and your friends). In golf, players count all intentional attempts to hit the ball with a stroke. You can practice your swing before hitting the ball, but you need to do it a little farther away from the ball in case you hit the ball unintentionally. In my experience, players are likely to contact the ball most of the time; however, if you try to aim for the ball and make a mistake, it will still count as a shot. Likewise, if you’re going to practicing a pitch shot and hit the ball accidentally, this counts as a shot too. Every time you make a move while addressing, it counts as a stroke, whether advantageous or not. If the par for a hole is a 3 – and it takes 4 strokes to put the ball in the hole, the score would be +1. If the entire links course adds up to the magic number of 72 and, after calculating your score, you achieved a 90; the score for that came would be a +18. In other words, simplistically speaking, that means the golfer, on average, hit 1 stroke over par for each hole. It’s important to know that a birdie means one stroke under par. So, if the hole is a par 4 and it took 3 strokes to get the ball into the hole – that’s a birdie. An eagle is considered two under par. With the previous example in mind, on a par 4 – you would need to put the ball in the hole in 2 strokes. A bogey means that you score one stroke over the par. So, on a hole that’s considered a par 5, it would take 6 shots to make it in the hole. Double bogey, as the name already implies, is the score you want to avoid during a golf round. Continuing with the last example, instead of 6 shots, it would be 7. It is also important to know the penalties in golf. The penalties are strokes that are added to an individual’s score in the form as extra points. Do remember that your score should be low so focus on keeping the score as low as possible because penalties will raise your score – any potentially lose the game. The penalties may be: if you hit the ball and it lands in the water, you will need a new ball. 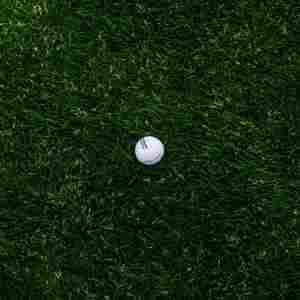 Following this, you will put that ball in a designated spot called the “drop zone“ and you will get 1 extra stroke penalty. If you hit your ball and it lands beyond the determined area marked with white stakes, known as in golf as out of bounds, you will have to go back to the tee and hit the ball again. This will cost you 1 extra stroke – adding another point to your card. Additionally, if you happen to lose your ball during the game and have to rehit, that’s considered a penalty, resulting in additional stroke added to your score. When you’re done, add your points for all 18 holes to receive your total score. If you are participating in a tournament, one of the people who is playing with you should be monitoring your official score. You should check and sign this card to make the score official. The golfer with the least amount of points wins the tournament! You can also add your points in after nine holes so you will not have to do a lot of math at the end. This is also effective because you will have a more defined notion of how the round is going during the game. Let’s talk about handicaps for a minute. Knowing your handicap will help in setting goals in your game and, of course, one of your goals will be to lower your handicap. A handicap is calculated as the average of previous golf rounds compared to par. For example, if your previous rounds were 72, your total strokes are 720. Divide that by ten and you get 72 and that is 0 over par, so your handicap would be 0. If you want to play the golf on another system, you can also use the Stableford method. This is quite a common method when it comes to keeping track of scores. Rather than focusing on the total number of strokes across 18 holes, this method focuses on points. So, the better you do, the more points you earn. In truth, this method is quite the opposite of the traditional method of golf. For example, if you each par on a specific hole – that’s worth 2 points. In the event that you get a bogey, you earn 1 point. For those that are skilled enough to get an eagle, they earn 4 points. Evidently, the most points wins! Another way to play golf is called match play. In match play, you only care about the score for each hole. If you want, in match play, you can also mark each hole as +1 or -1. This is a great way for beginners to play. The best is that you do not have to be so strict when monitoring what exactly happened in each round. You only need to win more holes than the person who you are playing with. So, assuming that in the first hole your score was five and your partner was three, he will have +1 because he has fewer strokes than you. While playing golf, do not get obsessed with the number of shots. If you are a beginner, it is more important to pay attention to getting the ball to the hole than getting annoyed at having hit too many shots. In this way, you will be more focused on acquiring a rhythm than analyzing the score too much. As you play, the more you improve the less amount of shots you will need to complete your round. Golf Tips: What is a good golf score for a beginner?